As most know moving is daunting, overwhelming and much more ! Booth movers from the first phone call made my move “Effortless” ! Everyone gave me a worry free experience. 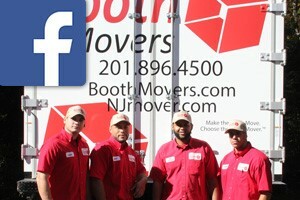 The movers where exceptional ! They were very professional, understanding, incredibly hard workers. I have much respect for movers who take on this task. Thank you Booth movers for the best move one can hope for. Thank you !